He was also a big staple at the voluminous amounts of delicatessens that paved the streets of my hometown, Detroit. 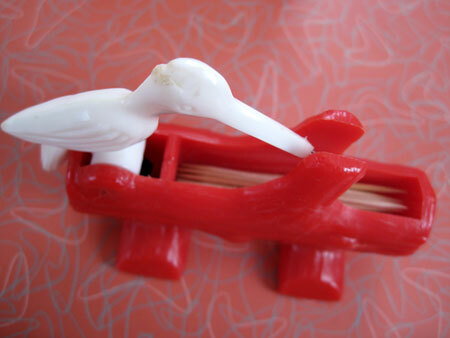 I guess it was a way of making sure that kids, eager to shove his head into his tree branch of toothpicks, kept their teeth clean after they chomped down on the sugar-spiked goodies our mom’s thought was so good for us back in the day. 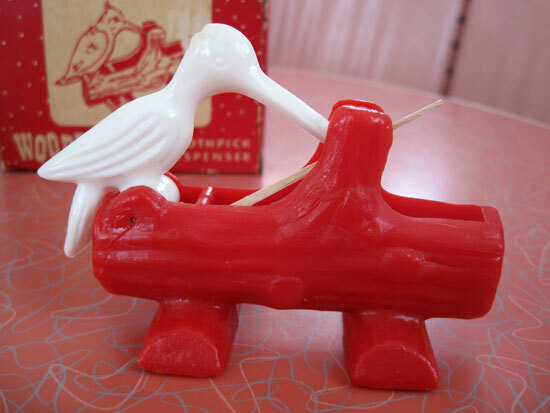 But this woodpecker doesn’t feast on just any toothpick. 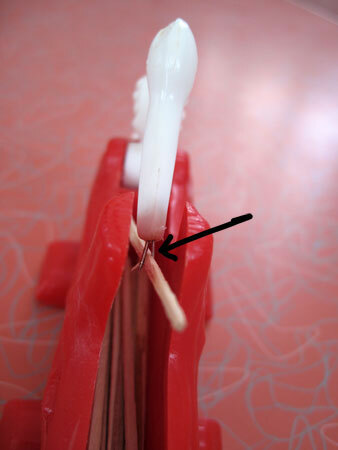 It’s gotta be the old-style flat, contoured toothpicks as the round ones, far better for picking your teeth, are just too fat to fit in his snakelike tongue. 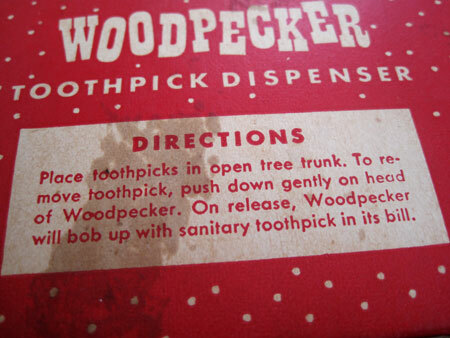 The packaging is as good as the woodpecker himself. 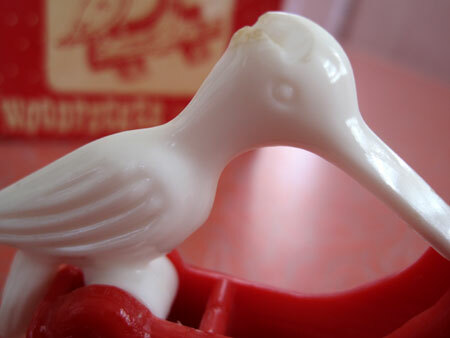 Who wouldn’t want to stick something in their mouth that was clean and handy? 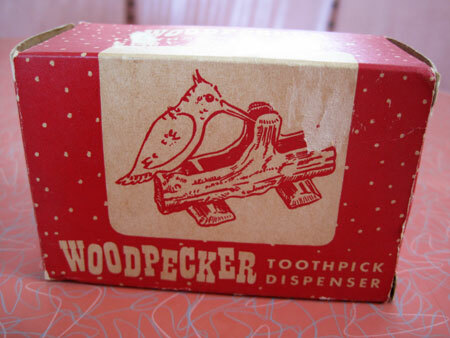 The woodpecker only does one thing. He bobs his head up and down. 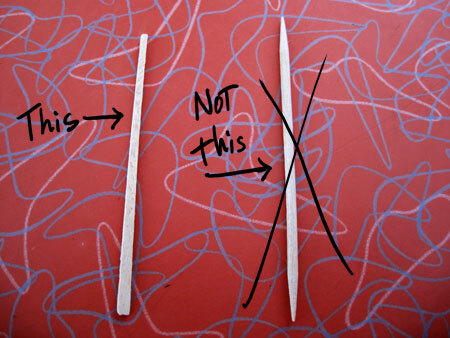 But in case that’s too complex to figure out there are also handy directions. I have a big day today. A lunch date and two recording sessions. 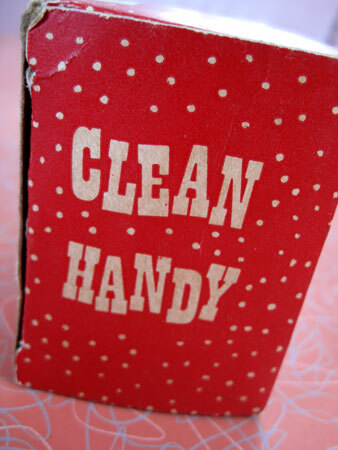 It’s not the most attractive thing to be walking around with junk in your choppers so say hello to my little friend who will be waiting in the car to make sure I remain “clean and handy” throughout the day. 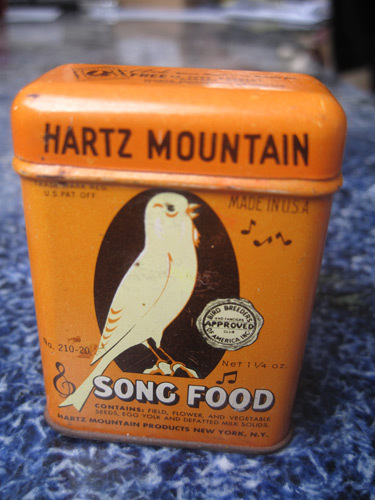 This can of Song Food has stared at and inspired many a singer at my place including Bob Dylan, James Brown, Cyndi Lauper and hundreds more. I’ve never owned a canary (though my trained parakeet, Pepi, was one of my favorite pets ever), but the can has sat atop every pair of speakers in my recording studio since my very first hit. It first adorned a set of Auratones, excessively cheap but vital sound boxes that no matter how great of speakers you had you always had to play your mixes through to know what they’d sound like on the radio. It’s still sitting on one of my Mackies today. 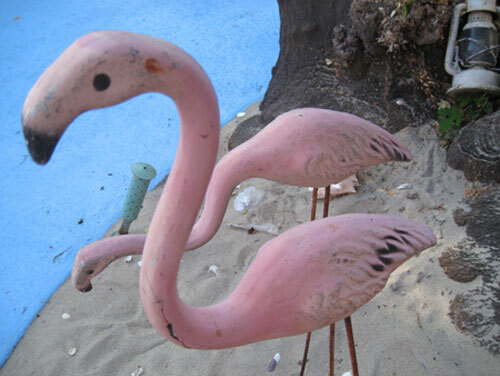 These three beauties are the real deal, the kind that used to bake in the sun in Florida in the 1950′s glory days of pink flamingos, not the hideous shocking pink plastic repros that proliferate in catalogs today. These gals are made of solid concrete and weigh a ton; even the baby is a 10 pounder. 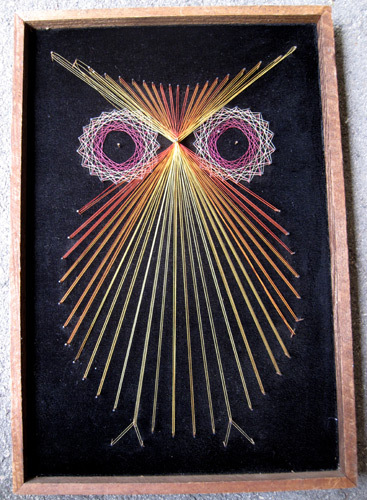 In the 1970′s, more owls lived on wood paneled walls than in trees. 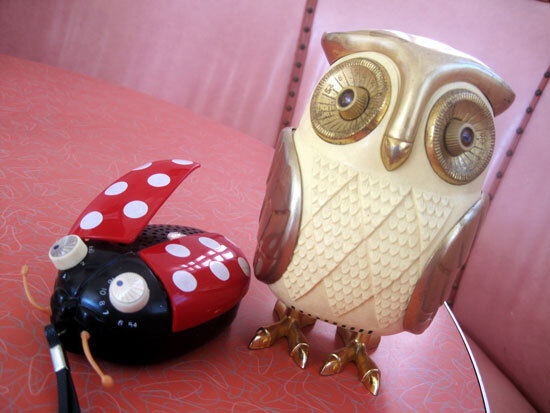 The owl is clearly the National Bird in the state of Kitsch as flocks of them thrive in burnt metal, ceramic and the all important Hi Art of Kitsch, String Paintings. 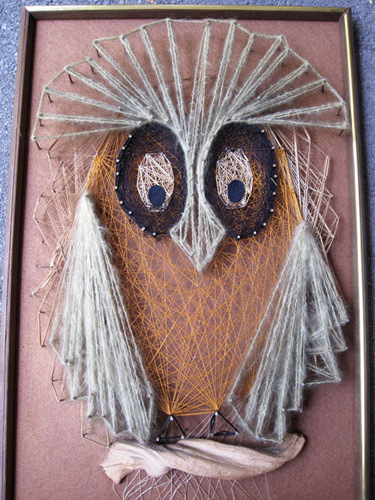 This one is especially fancy, incorporating mohair yarn as feathers and a driftwood perch.